About Bruce L. Marcus, Esq. Bruce L. Marcus, Esq. has over 25 years litigation experience. He served as a public defender, counsel to local and state government and as an associate in a general practice law firm prior to forming MarcusBonsib, LLC in 1990. Bruce L. Marcus is a Fellow of the American College of Trial Attorneys and AV rated by Martindale-Hubbell. He has been appointed by the Court of Appeals to serve on its Character Committee. From 1986 through 1998 he served as a member of the Attorney Grievance Commission Inquiry Panel. He was twice elected by the local bar membership to serve as its representative on the Governor's Judicial Trial Courts Nominating Commission. He served as Special Counsel to Prince George's County, Maryland from 1988 through 1994 and was a Senior Trial Attorney in the Office of the Public Defender for Prince George's County from 1980 through 1988. He has served on the Faculty at Prince George's Community College and as a Member of the Board of Regents for the University of Maryland. 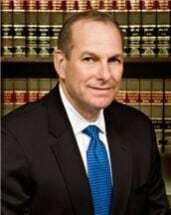 He regularly handles criminal and civil matters in local, state and federal courts.